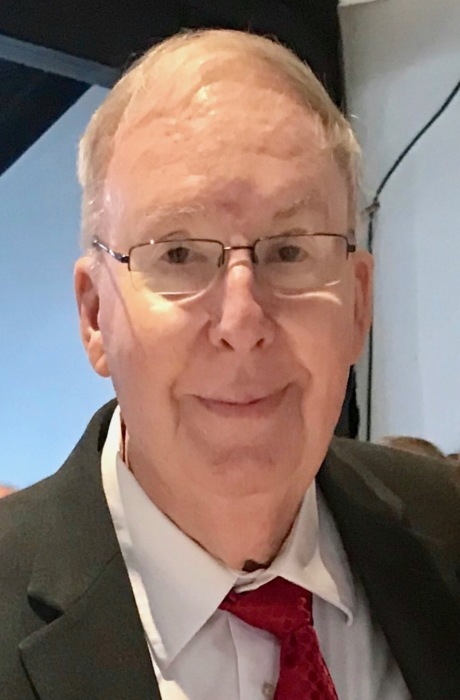 Bernard Smith passed away peacefully with his family at his bedside on September 12, 2018 at IU Methodist Hospital. Although his family is beyond heartbroken, they rejoice in the knowledge that Bernard is resting in our Heavenly Father’s arms. Bernard was born on March 23, 1941, to Lee and Amanda (Fender) Smith. A lifelong resident of Owen County, Bernard held many jobs over his career. Bernard began working with his father at Smith’s Barber Shop on the northside of the Spencer courthouse square in 1960. Bernard took over the shop when his dad became ill and worked there for several years. Bernard also served his community as a Deputy Sheriff and Volunteer Fireman and EMT. For a majority of his career, Bernard was involved in real estate as a salesman and soon opened his own successful business, Smith Realty & Insurance. Later, Bernard opened a Century 21 franchise and sold real estate throughout Owen and surrounding counties. If you asked him, Bernard could tell you about almost any property in his hometown county. As a proud graduate of the Spencer COPS Class of 1959, Bernard also worked for the school corporation by owning a fleet of 9 school buses for 12 years in the 1980’s. Bernard also sold manufactured housing and used cars in the late 1980’s and early 90’s. In addition to his real estate business, Bernard owned numerous rental properties and often bought and flipped houses with his wife, Carole. At the end of his career, Bernard served as a traveling mortgage lending officer in Owen and surrounding counties. Aside from his businesses, Bernard was an avid collector of classic cars. He started his collection with a 1949 Plymouth Super Deluxe and added numerous Model A cars. His personal favorite was a 1929 Model A Roadster that he enjoyed driving in parades with his granddaughters in the rumble seat. Bernard never knew a stranger and always enjoyed meeting and talking to people in every situation. Bernard was preceded in death by his parents and an infant brother. Besides his immediate family, he is also survived by his brother, Maurice, and a niece, Michelle Smith. Prior to his illness, Bernard was a faithful member of Lifeway Baptist Church. Most importantly, Bernard loved his wife of 52½ years, Carole; his daughters, Kris (David) Samick, and Carma (Jeff) Mason. He adored his grandchildren Kayla (Jake) Taylor, Amanda and Adam Samick, and Andrew and Ryan Mason. Bernard was delighted when he became a great-grandfather to Ayden Taylor in 2016. Visitation for Bernard will be held at West & Parrish & Pedigo Funeral Home in Spencer, Indiana on Monday, September 17 from 4:00-8:00 p.m. There will be visitation from 2:00 p.m. on Tuesday, September 18, followed by the service at 3:00 p.m. Internment will be at Chambersville Cemetery.